The Dolphin Embassy has just returned to Australia from our annual overseas journey. Each year since 2005 we have “taken our show on the road”, traveling around the world to do presentations, informing and inspiring audiences to regard all cetaceans as deserving of recognition, recognition of their inherent status as advanced beings with unalienable rights. Each year we experience growth in the acceptance of the ideas we offer. This year our tour was shorter, but it feels that it may have had a strong impact. We spent time in Colorado, Florida, California, and Oregon, and in each place the level of interest delighted us. We did six formal presentations in the US this year –Denver (at the beautiful headquarters of the Metaphysical Research Society), Sebastopol, Petaluma, San Francisco (at Globe Studios and Sound Therapy Center), and Mt Shasta (at the Flying Lotus) in California, and Portland, Oregon. Supported along the way by our dear friends Barry and Coral of Sebastopol, Fort Schlesinger of Petaluma, and the wonderful energy of Brent Willet, we were able to reach audiences that were primed and ready to hear about the ideas we share. 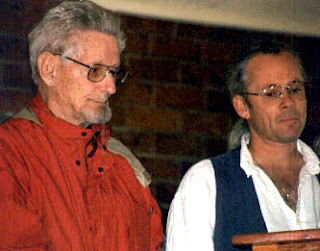 In the late 1950s, Dr. John C. Lilly began his famous research on dolphins. His quest led him to the momentous discovery that they are fully sentient, cognizant, reasoning, cultured, and sophisticated beings. It was immediately apparent to Dr. Lilly that something was amiss in our relationship with cetaceans – he had made the same mistakes as everyone else, assuming them to be just another species of animal. Once he made his important breakthrough, it was an easy step to realize that dolphins, whales, and porpoises deserved to have their rights recognized and protected. It is not, as some have misunderstood, the human role to offer them their rights. Instead, it is our duty to acknowledge the rights that they have. As a matter of scientific fact, their history as a highly evolved family of beings is much older than the human (even the Bible, in Genesis, specifically recognizes that they were created on an earlier “Day” then humans, the fifth Day. They were the earliest creatures named in the Old Testament). Dr. Lilly saw, in a sudden insight, that there already exists a vast nation, comprised of all the seas and oceans of our planet. The citizens of this nation, the largest on the planet, are the Whales, Dolphins, and Porpoises – the Cetacean Nation. In 1961, Dr. Lilly published his first reference to this idea. Over the subsequent years he worked with many friends to develop the concept. With Michael Bailey, of Greenpeace Hawaii (the only Greenpeace autonomous “cell” that did not become part of the subsequent amalgamated organization we know as Greenpeace International), he worked out a strategic plan for implementing recognition of the Cetacean Nation. Later on, his close friend Rebecca Goodman joined John in publicly announcing, again, the intention to bring the Cetacean Nation to reality. When I asked John, in 1997, what he hoped his public legacy would be --after a lifetime of inventions, discoveries, and important research – he answered without hesitation “the Cetacean Nation”. 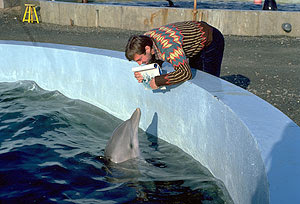 Years of discussion and public presentations later (we shared the stage at the 6th International ICERC Whale and Dolphin Conference in Hervey Bay, Australia, 1997, presenting our ideas about the Cetacean Nation), John surprised me by publicly suggesting that his preferred Ambassador to the United Nations from the Cetacean Nation would be me. (see “Gilding the Lilly: The Cetacean Nation”, video by SoundPhotosynthesis). Sadly, we were not able to accomplish the global recognition of the Cetacean Nation before Dr. Lilly died (Sept. 30, 2001). Our dedication to this goal is unabated, however. We established The Dolphin Embassy as a registered non-profit organization in Australia in October of 2004. Its mission is to educate and inspire humans toward a proper regard for the rights of all cetaceans. To this end we have taken multi-media presentations on the road, traveling around the world, visiting India, Belgium, the Bahamas, Mexico, Fiji, and many states in America (Florida, Colorado, Utah, Oregon, New Mexico. Arizona, California). We recognize the quixotic nature of this endeavor. It is easily seen as a harmless joke, a prank that we might pull to engage people, pulling them via humour into thinking, if only for a moment, about the rights of Cetaceans. We also see this as we see many aspects of the dolphin story – the closer you look, and become involved, the deeper it gets. Doug Michels was a visionary artist, architect, and man of many talents. In 1974, he and some friends established “The Dolphin Embassy” as an art project under the aegis of the famous Ant Farm, in Houston Texas. A 501 (c) 3 non-profit was organized to support the idea. In 1978, after a disastrous fire destroyed the studios of the Ant Farm, the project was abandoned. In 1977, Michels went as far as traveling to Australia to meet some dolphins, to explain his intentions, to offer to speak on their behalf. 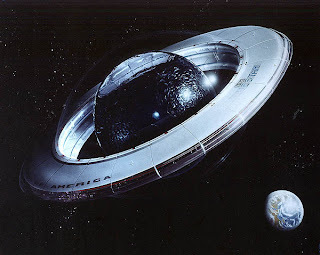 Some years later, Michels drew plans for an orbiting space station (Project Blue Star) that included a central glass globe full of water, in which dolphins could live. His idea was that dolphins could be the best weightless teachers we could find, alien intelligence that could help us understand the mysteries of outer space. (it was not explained how the dolphins would access air, or how the water would be taken up to the station). Over the years we have met many people with parts to offer. Some have led us to important aspects of the process of becoming able to work at the United Nations (thanks, Marsha, for that!) Some have engaged in lengthy discussions via email, aiming to sharpen our approach. And some have been very supportive in helping gather audiences to hear our ideas (thanks especially for this, Brent!). We are always on the lookout for well-prepared people in the fields of international law, diplomacy, intercultural communications, and NGO experience to discuss this idea. Clean Clean water in which to live. All water, everywhere, flows to the Oceans. We must stop pollution and clean the waters of the world. Quiet No sonic pollution of the oceans. Commercial and Military uses of sound in the oceans must be reduced to harmless levels. Peace An end to war. Humans must stop killing each other-- as a prerequisite to peace for all. If you feel that you have skills or resources to offer to this effort, please contact us. We have many details developed in our strategic plan, requiring support from a large team of dedicated people. Would you like to join us in taking the voice of the dolphins to the United Nations?